Before we get to this week’s challenge lets announce the winner for Challenge #3. Simply copy and paste the code below to your site. to your site's side bar. I JUST FOUND YOUR FUN BLOG AND AM NOW A FOLLOWER. I HAVE ENTERED IN YOUR CHALLENGE THIS WEEK WITH SOME FUN QUILTS FOR KIDS PROJECTS. THANKS!! Thanks for linking up. I already follow your blog. Oh my gosh! That little dinosaur is so cute! My son was dinosaur crazy when he was little too! Thanks for stopping by and congratulating her. 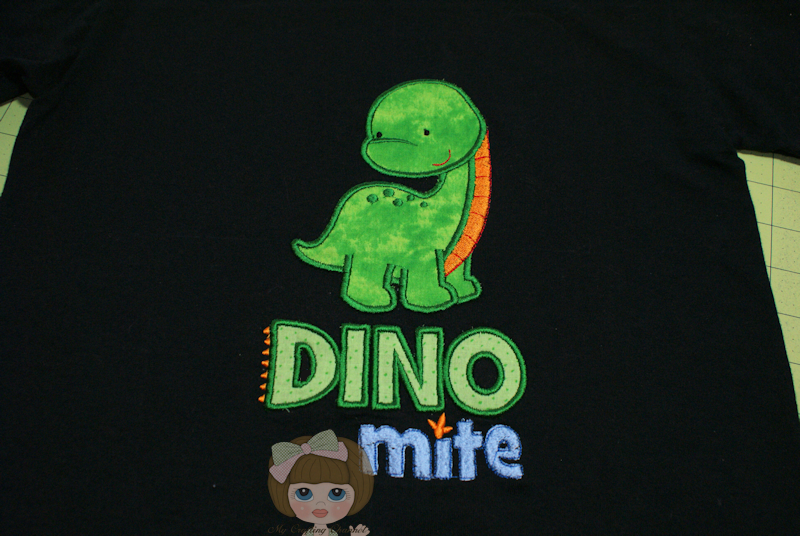 Your dinosaur shirt is so cute. I know your grandson will love it! I was not expecting to win. Thank you so much. I will email you right now:) Have a great day! Thanks Judy. I'm sure he will. 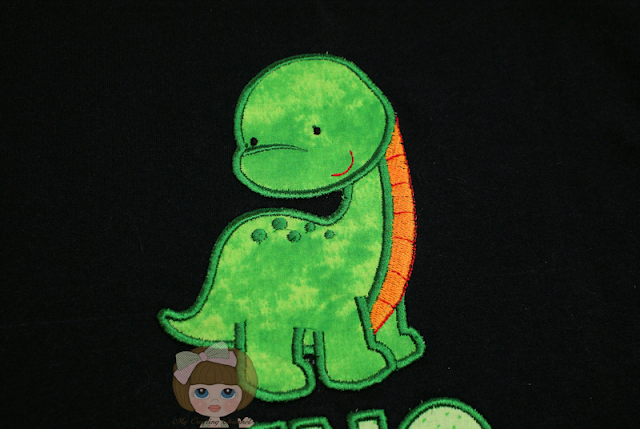 Oh my gosh, that is the cutest dinosaur t-shirt!! The image is sooo sweet!! He will LOVE it!! Congrats, Judy!! New to your BLOG and have enjoyed seeing all the fun projects. I am covered in serged strips and thread today rather than ink and glue. Fun Fun Fun. Wanted to know if lace counted as fabric? I know you indicate ribbon does not count so was not sure about lace. Please let me know. You can respond via a reply here & I'll ck back for response. Also, I noticed that the SVG chllenge has a Fabric Ch button and was a bit confused as to what the SVG challenge for this wk was and since I'm not sure what or how to use SVGs (is it a file that one creates on a Gypsy for a Cricut or what?)? Again, please respond here. Hi Melissa, yes you can use ribbon but ribbon alone is not what we are looking for here. Yes lace is ok. I fixed the buttons. SVG files are not created on a gypsy or cuts from a cricut cartridge. They are files that people create and there are many machines that are able to cut these files. You could do a google search to learn more about them and what machines are used to cut them. Thanks for response Nana as in lace does count for fabric. Yes you can use lace. That dinosaur has the cutest face. Your grandson will look adorable in that. Lets hope he will keep him from wanting another quilt so soon. Thanks for joining in and becoming a follower. I already follow both your blogs.